DHL CEO reads customer compliments and complaints. | announced! 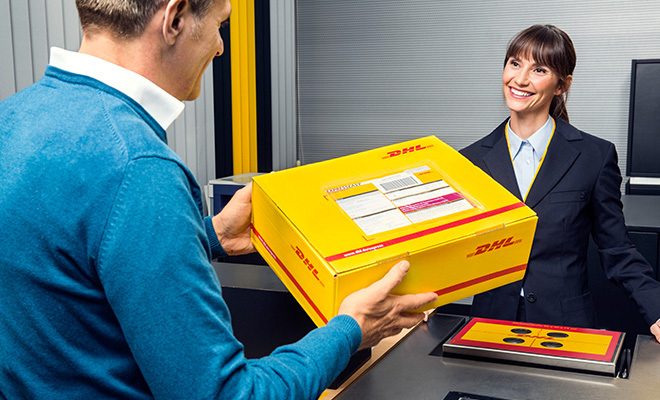 For over 40 years DHL has provided domestic and international delivery services to over 120,000 destinations. With 62,000 delivery vehicles, 4,500 warehouses and terminals and around 300,000 employees to service 8 million customers, service is paramount for DHL. The Customer Service Centre in Australia is centralized and operates out of a new facility in Brisbane and handles over 1 million calls yearly and their delivery team transports roughly 1 billion shipments annually. The company prides themselves on their customer service motto, which is defined as KPH (Knowledgeable, Polite and Helpful). Ensuring that all calls are handled appropriately, they are handled by a call attendant and directed to the correct department. An impressive fact to note about DHL is that since 2010, 90% of all calls are answered within 10 seconds. All complaints and compliments can be directed straight to the CEO to be sure that they are taken seriously, this has existed for the past twelve months and increases the effectiveness in which the company can respond to positive and negative feedback, and subsequently adjust their services accordingly. With a strong duty to the customer, it’s easy to see why in 2015 DHL has been recognised as an ABA100 Winner for Service excellence in The Australian Business Awards. Fiona Evans, Vice President Customer Service, DHL Express Australia, said “We’re incredibly proud our customer service efforts have been recognised by the Australian Business Awards. “We place customers at the heart of everything we do, with a strong focus in building a customer centric culture. Extensive training is provided to all customer services staff before they even speak to a caller – generally via a five-week training program. “Our team is based in Brisbane which means they really understand the Australian market. We may be a global company with offices in 220 countries, however we understand the power of local service and work hard to resolve any customer concerns at the origin. Previous articleSmile Solutions employees valued greatly. Next articleApricus creates dual Solar Domestic Hot Water & Pool Heating System.